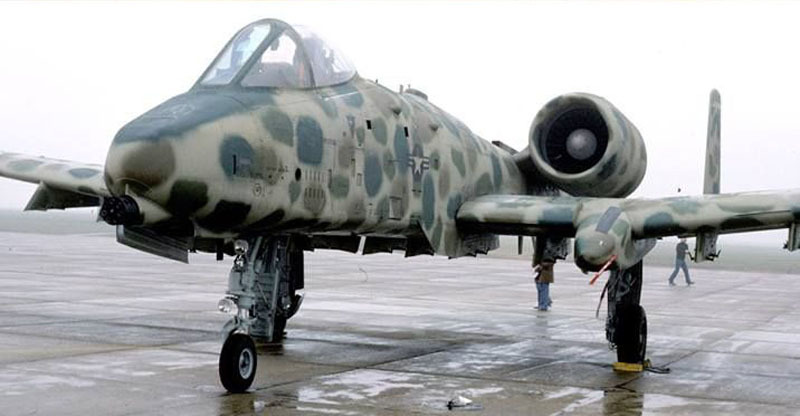 During the tests, Air Force Aggressors reported that the A-10’s light celestial camouflage scheme made the A-10 easily visible from the air. 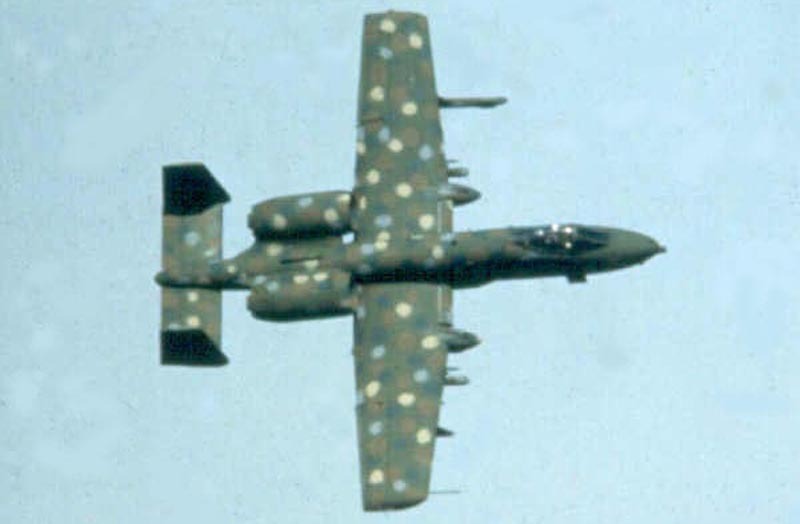 The 57th Tactical Training Wing had 4 aircraft given an overall coat of tan, green, or gray, then sprayed and brushed with spots of three or four other earth tones. The scheme’s developers had plans for repaint kits to accompany deploying units, changing the spots on aircraft as geographical conditions required. But by September 1978 Nellis was developing what became the European I scheme, and the spotted camouflages became a minor but remembered, camouflage oddity.